What are we looking for? As professionals we hunt for the next big thing while consumers are searching for something more. The search is on, shifting lifestyles call for intelligent product selection. Where we rest our heads, what children play with, how we consume and produce, and emerging global powers such as China are making us look beyond the horizon. This month search further with Trendease. San Francisco — Trendease is always out there searching for the latest and greatest products and most valuable information on the market. Know what? During our search we have realized that others are searching too, and their searching runs deeper than trends. In this column read about the emotional shifts consumers are experiencing and also take a walk and breathe in some crisp fresh air and visual inspiration. Shanghai — China continues to be in the design spotlight. Many eyes are focused on this emerging power. Some see it as a threat while others see vast opportunities. Shanghai is becoming a hotspot for home textiles in Asia. 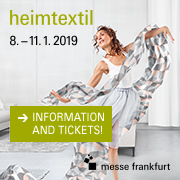 With this in mind, Trendease took a trip to visit Intertextile to get the scoop and bring our readers the latest buzz to stay in the know. Read on to learn about trade shows and showrooms creating a home haven and a new empire. Frankfurt — This is a source of inspiration for trade visitors at Tendence Lifestyle enabling them to expand their assortments in the right direction for the upcoming seasons. Winter trend scenes make up these vignettes by interpreting the passion held by collectors. Three stories are created as individual arrangements to demonstrate new trends. Multiple European Cities — Societal shifts are causing the return of childhood, of simple things, reminiscent of when times were more certain and secure. Parents are nostalgic. Trendease has been watching this shift and this report displays new products that heed this trend. If buying or designing for children remember that times are shifting and not all children are glued to handheld game devises, the television, and the computer. Shanghai — Trendease has found a hotel that is not only located in the trendiest part of Shanghai and found within the most distinguished design publications of China, it also fills its guests with a new sense of well-being and inspiration. With Shanghai becoming a hotspot for business, 88 Xintiandi is the place to stay to not only get work done and find design inspiration, but to rest one’s mind, body and soul. Multiple European Cities — It looks like Trendease was right on target with Newsletter #98 published last Thanksgiving; roses and other petaled beauties are on the move. Quite a few design-forward vendors were showing their garden variety at recent design events. Sneak a peek here to learn about a success story and see the new colors and finishes emerging onto the marketplace. Frankfurt — “The true skill of the professional buyer is in compiling a perfect blend of products that underscore the client's style and personality.” This gallery brings together images of the Walking Chair Design Studio Personal Shopper display at Tendence Lifestyle. Subscribers will find a new selection of eco-chic products among the product offering. Frankfurt — Tsé & Tsé associées’ approach to merchandising the Personal Shopper was a lot darker and mysterious when compared to the Walking Chair, which made it slightly challenging to see the product offering in the dimly lit space. Clever mechanics animated the products within the shadows while a sense of twisted humor lurked throughout. There were, however, products that shouldn’t go unnoticed. Frankfurt — Each year towards the end of August Talents becomes an international attraction at the consumer goods fair of Tendence Lifestyle. 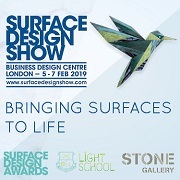 The Talents section provides free stands to new designers giving them the opportunity of being exposed to approximately 85,000 visitors including press, manufacturers, distributors, and design professionals as well as an excess of 3500 exhibitors. Multiple European Cities — While exploring all of the new products from over 3,500 exhibitors at Tendence Lifestyle Trendease scoped out the latest EcoChic products which can be found here. Also read up on EcoChic tidbits that will make you think again about many of your actions. Multiple European Cities — As usual we like to make all of your wishes come true. While the Trendease Team is still working on world peace, we are able to bring you something else that you requested a bit sooner in this week’s gallery: holiday product inspiration! Subscribers are welcome to get into the spirit with this gallery and read up on the newest tidbits. Multiple European Cities — Today’s gallery is a mélange of prints, surface design, and textiles that caught attention at recent trade events. Also check out how inspiration from architecture can make creative prints take on a new meaning, how globalization just got a little more attractive, and how 90 degrees can make all the difference in spatial perception. Verona — The images for this gallery were taken a few days before the grand opening of this fresh boutique showroom which threw open its doors during Abitare Il Tempo last week in Verona. Subscribers can quench their design thirst by viewing products for every room of the house, including such names as Armani Casa, Vitra and Minotti Cucine. Also catch the latest tidbits on textile inspiration from hair décor, a quote worth soaking up, and more! Paris — While hopping planes between Paris, Verona, and London the Trendease Team has continued our cross referencing of color stories. Subscribers may or may not be surprised (if they have been taking their regular dose of Trendease) at these new colors posted for Autumn-Winter 2007/2008 at this special color update.